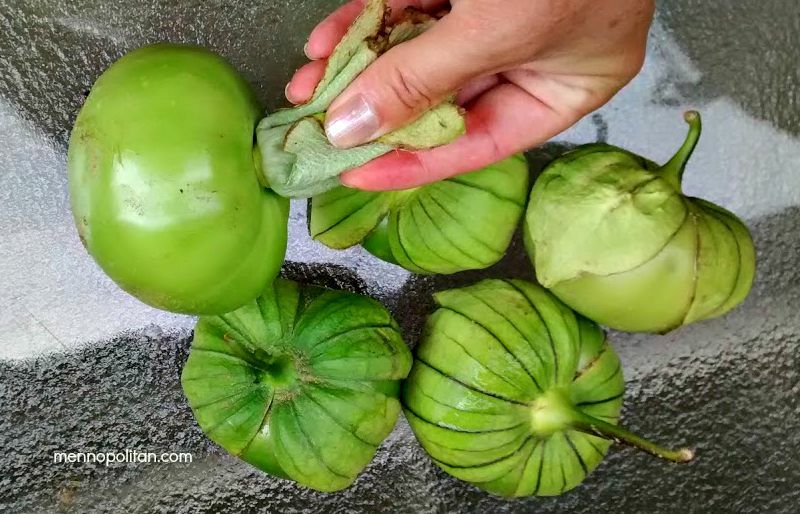 While green tomatoes tend to be fried, and tomatillos are usually used in sauces, they look pretty similar on the outside: small, green, and firm. They're both also pretty tart, so are they really just the same thing, called by different names? While both are members of the nightshade family, green tomatoes are hard, unripe tomatoes that can come from any variety of tomato. Tomatillos are not tomatoes, but the fruit of a different plant and they are covered with papery husks. You can find tomatillos in most Mexican stores and at some farmers markets between September to late October in Ontario Canada. Remove the husks from the tomatillos, lightly scrub them to wash off the waxy coating, and cut then into quarters. Wash, cut the stems off the jalapeno peppers and cut them in half. If you don’t want the salsa to be too spicy just remove the seeds from the jalapeno peppers. Cut the onion and tomatillos into quarters. Transfer tomatillos, peppers, onion, garlic, vinegar, cilantro, salt and water into a pot. Boil for 10 minutes and let it cool down. In the same pot use a hand blender to blend it until it is a chunky liquid and there you have it. 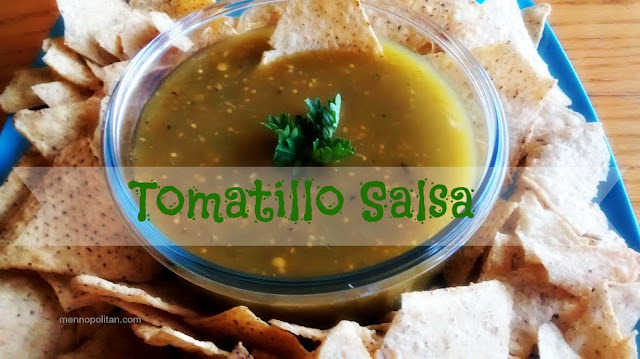 The tastiest salsa ever!